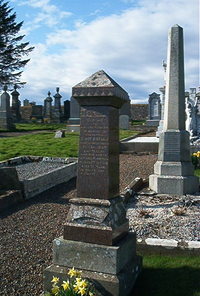 Erected by Margaret Robertson in memory of her husband. George Sinclair died at Upper Lybster 23rd November 1907 aged 70. Wife Margaret Robertson died 10th October 1919 aged 61.